I Love Food Catering Co, Mumbai is driven purely by passion and love for food. They can customize menus depending on your budget and cater to weddings, house parties, birthday parties and more. They are professional caterers who are one of the best in Mumbai due to their dedication and impeccable food. I Love Food Catering Co, Mumbai is driven purely by passion and love for food. They can customize menus depending on your budget and cater to weddings, house parties, birthday parties and more. They offer Indian cuisine, Kebabs, and grilled food, pan Asian and Middle Eastern cuisine are some of their specialties and are a hit among people. Near Holy Cross Church, Juhu, Santacruz, Mumbai 400088. I Love Food Catering Co. is a caterer based out of Mumbai . 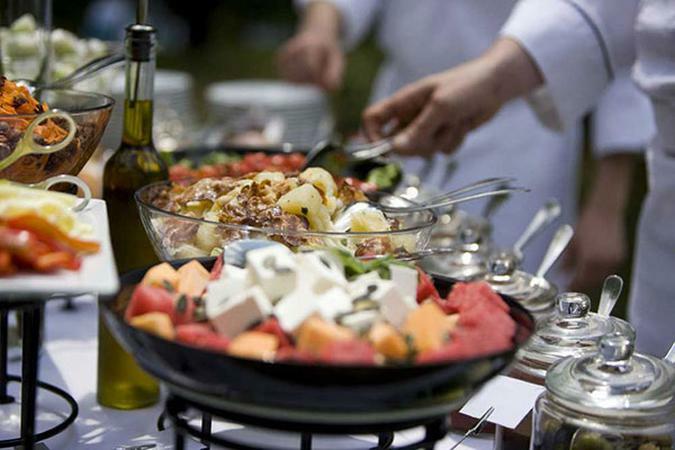 I Love Food Catering Co.'s telephone number is 76-66-77-88-99, I Love Food Catering Co. website address is http://ilovefoodcatering.com/?reqp=1&reqr=, address is Near Holy Cross Church, Juhu, Santacruz, Mumbai 400088.. In terms of pricing I Love Food Catering Co. offers various packages starting at Rs 600/-. Has been viewed 39 times and shortlisted by 1 customers over the last month. There are 0 albums here at Weddingz -- suggest you have a look. Call weddingz.in to book I Love Food Catering Co. at guaranteed prices and with peace of mind.